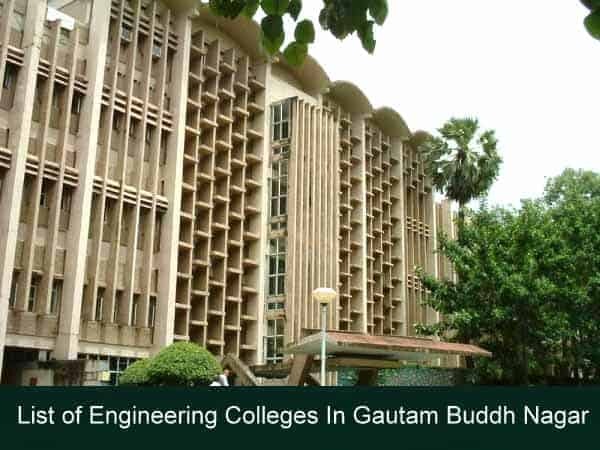 List of Engineering Colleges In Gautam Buddh Nagar: The city Noida has evolved as epicenter if higher education among Indian states and Industrial empower. According to 2011 census, it is ranked 294 out of 640 districts in India. And have a Literacy rate of 82.2 one of the highest. In this article, we are providing latest List of Engineering Colleges In Gautam Buddh Nagar. Scroll down the page and check it out. How to get admission in Gautam Buddh Nagar, UP engineering colleges? UP higher education board have clearly mentioned that all the participating college will have to take a student who qualifies the UPSEE entrance exam and have a name on the Merit list, then after they are eligible for counseling rounds for engineering courses. Also if the aspirant has appeared in JEE main exam and have minimum percentile required for sitting in counseling, then they are also eligible for admission in Courses like B.Tech in various fields like computer science engineering, IT Engineering, Communication Engineering and different another discipline. At last of this article, you will find a table of the list of Gautam Buddh Nagar engineering colleges, but you must before selecting, look at various parameters in a list like location, accreditation, govt. College or private university etc. You should also know that below list is in random order, no ranking is given in the list. To identify top colleges in Gautam Buddh Nagar, UP you have to visit after some time here, so bookmarks us.